Austria Lotto, Austria’s biggest and most famous lottery, is known also as Lotto 6 aus 45 and Osterreichische Lotterien. Austria Lotto has been around for quite some time and fully deserves its immense popularity because of its great prizes (jackpots start at €1.5 million), rock-solid odds (especially for a lottery of this size), and straightforward game mechanics, which use a 6/45 matrix. There are many things to like about this lottery, and below we’ll explore them in detail. 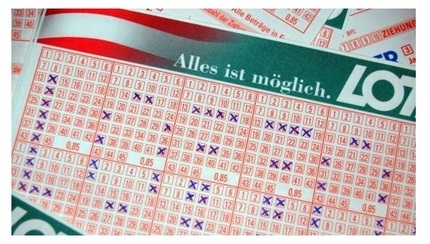 The Austrian Lottery Toto Company launched Austria Lotto in June 1986 shortly after the Austrian government introduced a legal lottery system called the Austrian Gaming Act, and its first official draw took place on September 7, 1986. 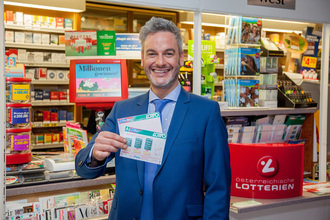 Although this company soon launched (and still operates) several other lotteries, Austria Lotto has definitely always been its bread and butter and therefore its pride and joy. Over its more than three decades in the business, Austria Lotto has made a countless number of Austrians richer—with quite a few being set for life. Also, many sports organizations and charities have benefited from the game, as a lot of its profits are channelled into these types of initiatives every year. Austria Lotto’s format and mechanics are extremely simple: players choose 6 numbers out of a possible 45 (which fall in the range of 1 to 45). Match all 6 numbers, and you win the jackpot. In addition, there’s a bonus number called the “Zusatzzahl”—say that three times—that is pulled from the main pool. Although this number has no impact whatsoever on jackpot wins, it can make a big difference in the size of the secondary-tier prizes available to players. Winning the second-biggest prize, for example, requires players to match the Zusatzzahl in addition to the 5 main numbers. More details on this below. Although Austria Lotto has no cap on the number of times its jackpot can roll over from draw to draw, the odds of winning are so fair that the jackpot only grows exponentially every once in a while. However, that doesn’t mean that the prizes aren’t anything to get excited about. Considering that its jackpots start at €1.5 million and have exceeded €10 million many times, the odds of winning the Austria Lotto jackpot are surprisingly good: they are 1 in 8,415,060. Compared to many other national and international lotteries, these odds are actually among the best. Take UK Lotto, for example: its odds are 1 in 45,057,474, while France Lotto has odds of 1 in 19,068,840 and Polish Lotto has odds of 1 in 13,983,816. While your chances of winning the Swedish Lotto regular jackpot (but not super jackpot) has slightly better odds of 1 in 6,724,520, its prizes aren’t as lucrative as Austria Lotto’s. And let’s not even get started on the odds of winning EuroMillions, EuroJackpot, SuperEnaLotto, Mega Millions, or US Powerball. Your likelihood of winning the grand prize in any of these mega lotteries is in a completely different ballpark. The fact that you can still win a prize by matching only one number—the Zusatzzahl—makes Austria Lotto pretty unique. Sure, €1.20 isn’t much, but it’s still better than nothing, right? Similar to how most other major lotteries around the globe operate, Austria Lotto draws twice per week. The draws take place on Wednesday and Sunday evenings at 6:30 pm CET in the national capital, Vienna. Sure, EuroMillions and US Powerball might have exponentially larger jackpots, but your chances of hundreds of millions of dollars going to your head are much higher than a more modest amount. What’s more, the saying “more money, more problems” came about for a reason. If you're one of the few people who would prefer to choose annual payments instead of a single cash payment, you won't find that with Austria Lotto. The only payout option when claiming prizes is a lump sum. All prizes are tax-free if you’re a resident of Austria. If you want to play Austria Lotto online and you live in another country, you’ll need to check what your local/national tax laws are on lottery winnings collected abroad. Some countries tax winnings, while others do not. If your country doesn't, you won't have to pay any taxes whatsoever! Regardless of where in the world you’re physically located, you can enjoy the fun and excitement that Austria Lotto’s great odds provide through an online lottery site. Some of these sites allow you to buy official tickets to dozens and dozens of lotteries, while others let you bet on the outcome of the official lotteries’ draws. And the best part is you don’t have to travel anywhere! Once you register with a site, which usually takes just a few minutes, the world’s lotteries will literally be at your fingertips. Austria Lotto – Is It Worth Playing? Any lottery that has had many repeat winners throughout its history is definitely one that every lotto lover should put high on their list, and Austria Lotto is no exception. The great odds and jackpot amounts‚ which should be enough to please the vast majority of winners, are extremely enticing. Throw in a format that anyone can easily understand and a bonus ball that’s called the “Zusatzzahl”, and you’ve got all the ingredients necessary for a truly winning combination. If you’re an online lottery player looking for a great game to spice up your lotto life with, look no further than this one. Reading this review makes me want to visit Austria again! Great place and this is a pretty amazing lottery too. Some of the best odds I ever saw anywhere.